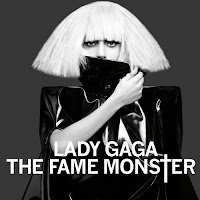 Lady Gaga started her 2010 “Monster Ball” tour with a pre-emptive trademark infringement lawsuit. In the past, non-licensed merchandise vendors were tolerated outside large concerts, so long as they didn’t interfere too much with legitimate merchandise sales. But lately, the music industry is taking greater measures to remain profitable. These cases, known as “John Doe” cases (because of the hundreds of “John Doe’s” named as defendants), are becoming more and more frequent. Lady Gaga’s merchandise company is Bravado International, a division of Universal Music Group. The case was filed under trademark infringement, citing the Lanham Act, unfair competition, and right to publicity (Bravado International Group Merchandising Services Inc., v. John Does 1-100, 1:10-cv-04942-RJH, U.S. District Court, Southern District of New York). The Monster Ball tour is running from July 1 until sometime next April. Bravado International is asking the court to grant permission for law enforcement to confiscate any unauthorized merchandise at any show during the tour.